A week ago AIGA DC hosted a film screening of Milton Glaser: To Inform and Delight, a film by Arthouse Films and directed by first time filmmaker, Wendy Keys. I first heard of Milton Glaser when I was in college, but he was never as big as Lester Beall for some reason. At RIT, we had a design archive which included the work of Lester Beall, Paul Rand, Will Burtin, Saul Bass, Alexey Brodovitch and of course my all-time favorite, Cipe Pineles. There are so many historical figures in graphic design that have really paved the way for where design is today, it’s very hard to focus on just one. 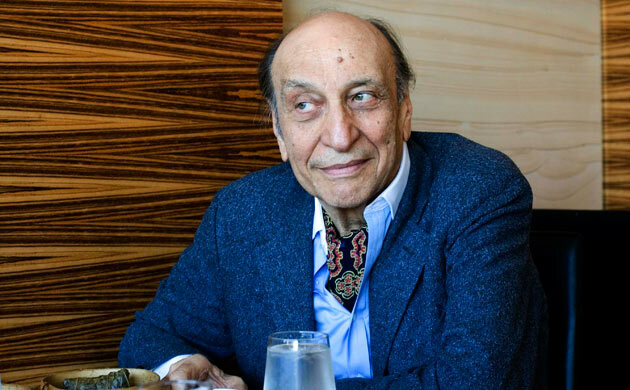 Of living historical design figures, Milton Glaser represents graphic design. Among all of the things he’s famous for, in my mind Milton is I ? NY, which was part of a campaign to bring tourism to New York State, not just New York City. Milton always describes the logo as part of his campaign to bring “love” back to the streets of NYC in the late 1970s. He never would have guessed how far his little mark would go and did this work pro bono. Now, I ? NY is everywhere. It repesents other cities, it’s on key chains and coffee mugs and it was also recreated less than a month after September 11, 2001 when the logo became especially prominent. Overall, the film’s content artfully personifies Milton Glaser, capturing his immense warmth, humanity and the boundless depth of his intelligence and creativity. The film took over five years to complete, by first time filmmaker, Wendy Keys who is a former student of Milton Glaser. The cinematography is very basic, shot with an ordinary video recorder and edited by Wendy herself. At first I thought it felt like a student project. The lines are fuzzy, the colors are not vibrant, and I thought it lacked luster, but as the film progressed I was less interested in the film quality and found myself submersed in Milton. I felt like I was right there next to him, learning about his life and being inspired by his way of life. If you’re a graphic designer, you know Milton Glaser. If you’re not a graphic designer, you probably don’t know Milton Glaser. That’s the great thing about this film, it’s one that everyone (designer or not) can enjoy. It’s a film you absolutely should not miss.